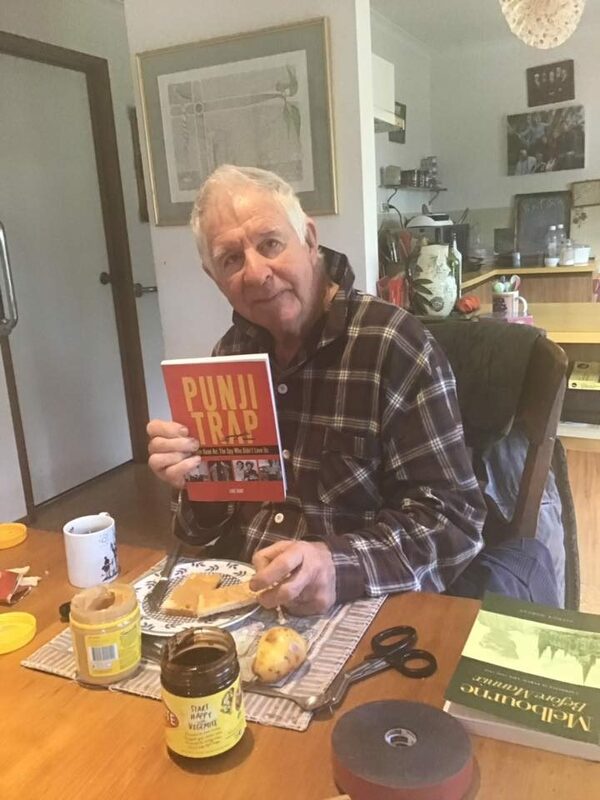 Michael Parer — Churchill, Victoria, Australia. 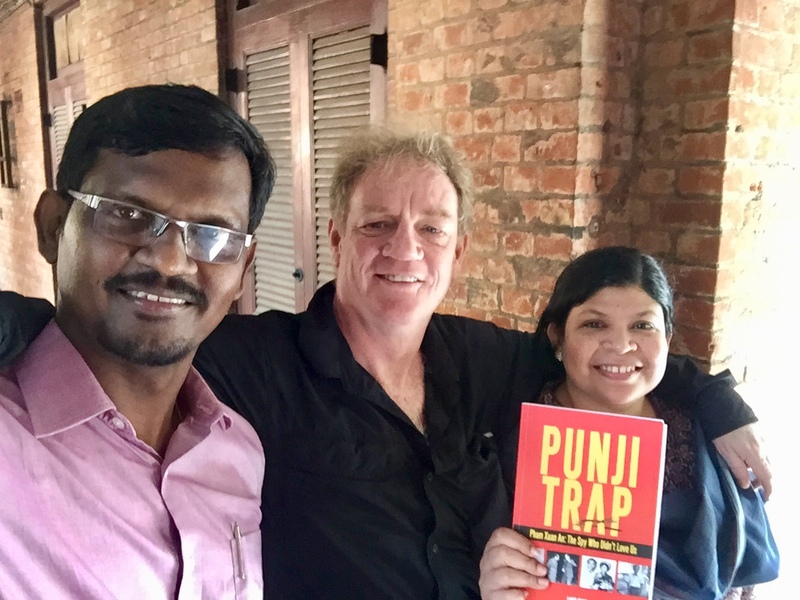 Senior lecturer Leo Fernando from the University of Madras with author Luke Hunt and senior journalist Deepa Alexander of The Hindu during a recent a recent lecture series in Chennai. 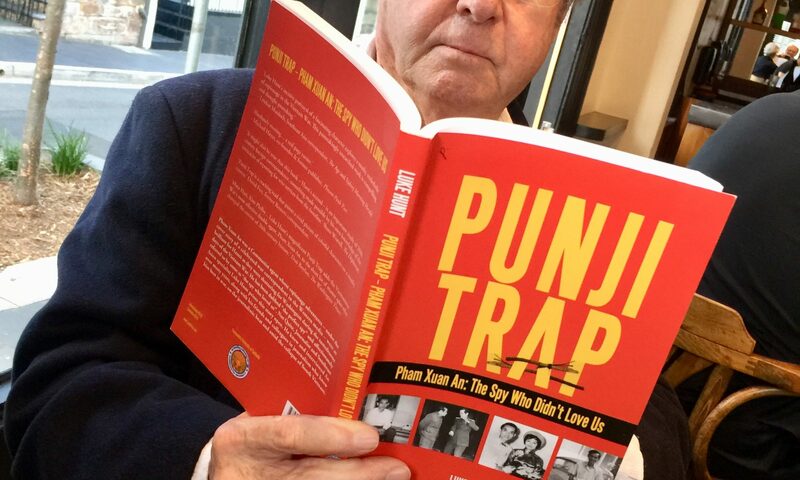 Lawrence Deushane, retired American living in Sydney. 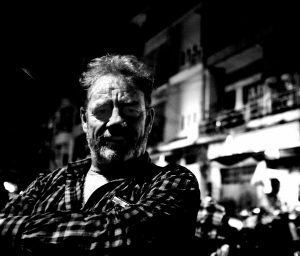 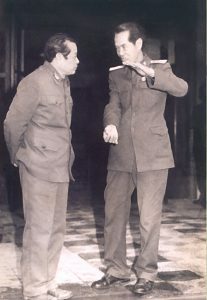 Lawrence is a former US paratrooper, black ops specialist and merchant mariner from the Vietnam war era who spent the later part of his working life as a journalist and photographer in Australia. 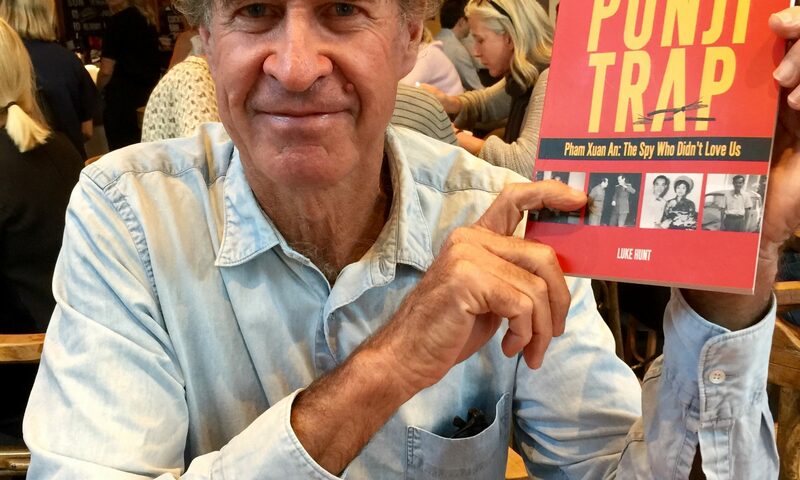 SPY vs SPY — Pardoned in Cambodia of espionage Australian film maker James Ricketson with a copy of the Punji Trap in Sydney. 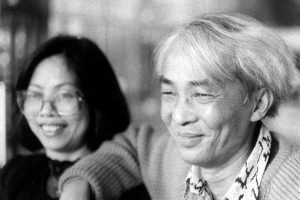 Pub intellectuals and a chat in Melbourne. 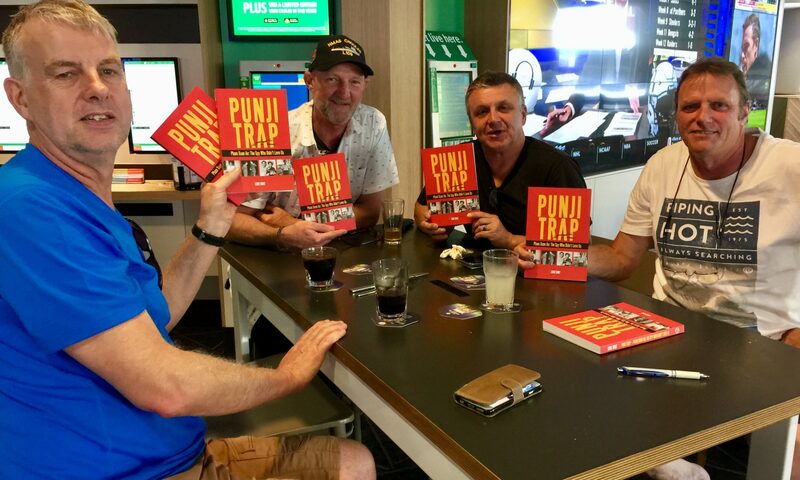 From left to Right; Rod McKinnon, Bernie Esser, John Dooley and Rodney Riley with copies of the Punji Trap. 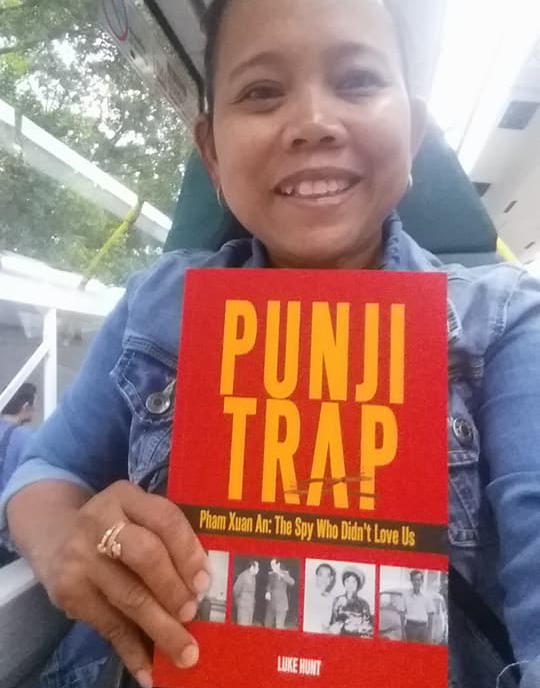 Indonesian author Rini Rica on the bus in Hong Kong. 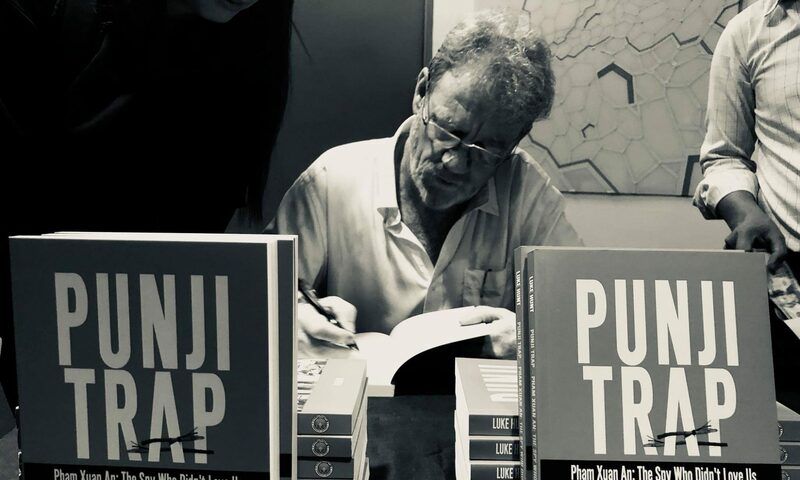 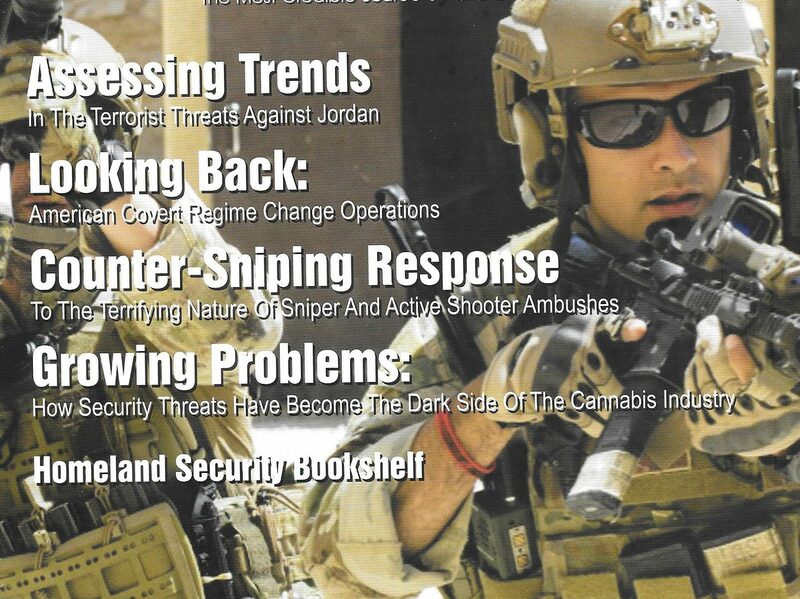 The Punji Trap is now on sale in many countries, including Thailand at the Foreign Correspondents’ Club where the author and veteran war correspondent Jim Pringle were guest speakers on April 25, 2018. 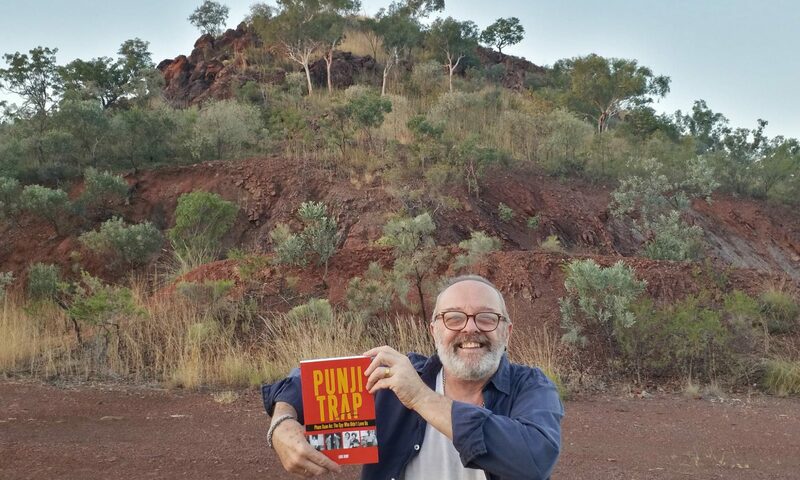 Photo: Derek Mayes from the Doon Doon Roadhouse in Kununurra, outback Western Australia with his copy of the Punji Trap. 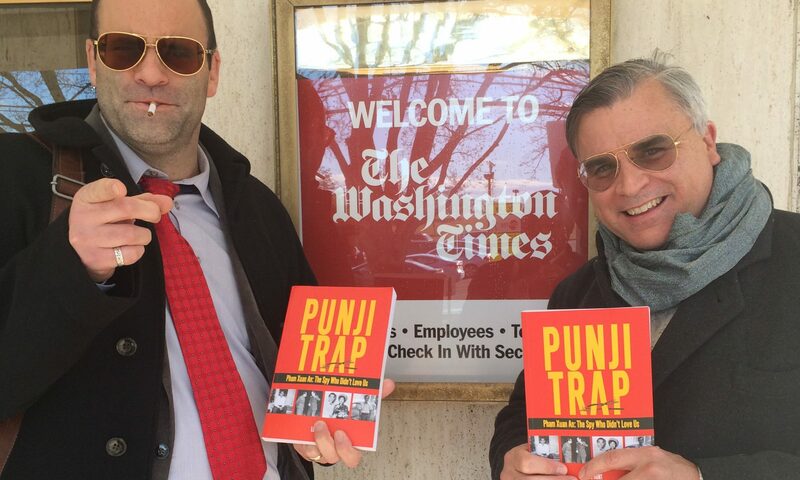 Photo: Washington Times journalists Guy Taylor and Dan Boylan outside head office in Washington DC, with copies of the Punji Trap. 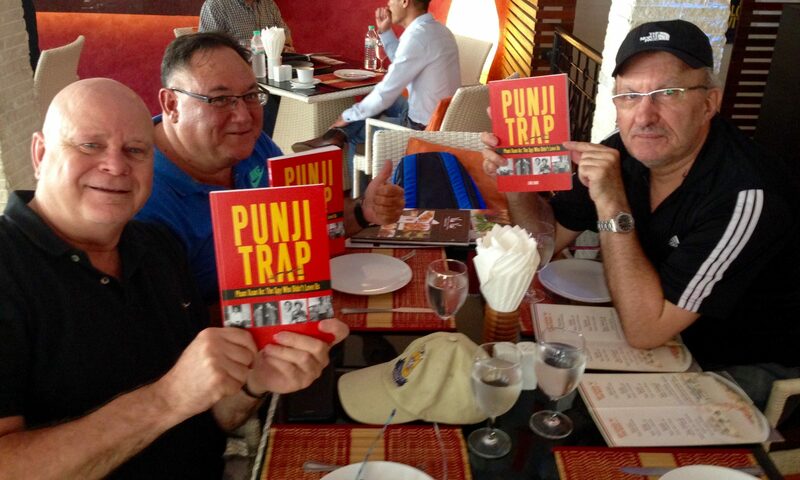 Photo: Bangkok-based freelance foreign correspondents Lindsay Murdoch, Paul Ruffini and Roland Neveu with a copy of the Punji Trap during a recent long lunch.